In less than two weeks (on 16th June) it’s time for SQL Saturday Athens and I’m proud to announce that I will be speaking! This will be my first SQL Saturday ever both as speaker and attendee outside Portugal so I’m especially thrilled and excited to be part of it! 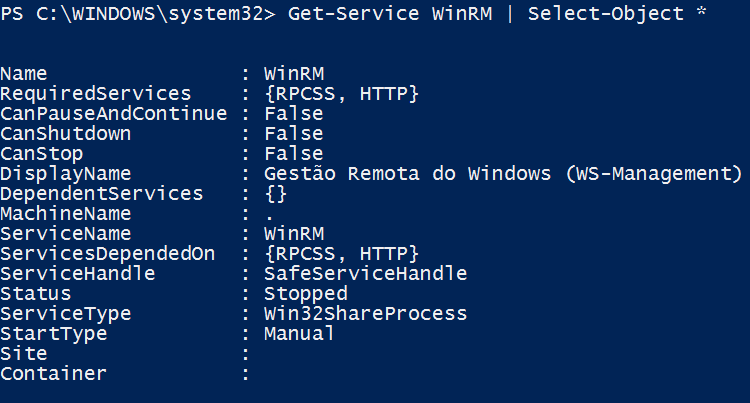 I will be presenting my Administrate SSRS/PBIRS with PowerShell session and I can share in first hand that it will include new demos with some fixes and enhancements that will be available on the next version of the module later this week. The event will be held at Microsoft Hellas , 221 Kifisias Ave, Marousi, Attica, 151 24 and you can see the full schedule here. Hope to see you in Athens! If you see me, come and say hi! On one of the last clients I have worked, I have implemented dbachecks in order to get the state of art and know how cool or bad the environments are before start knocking down the bad practices. 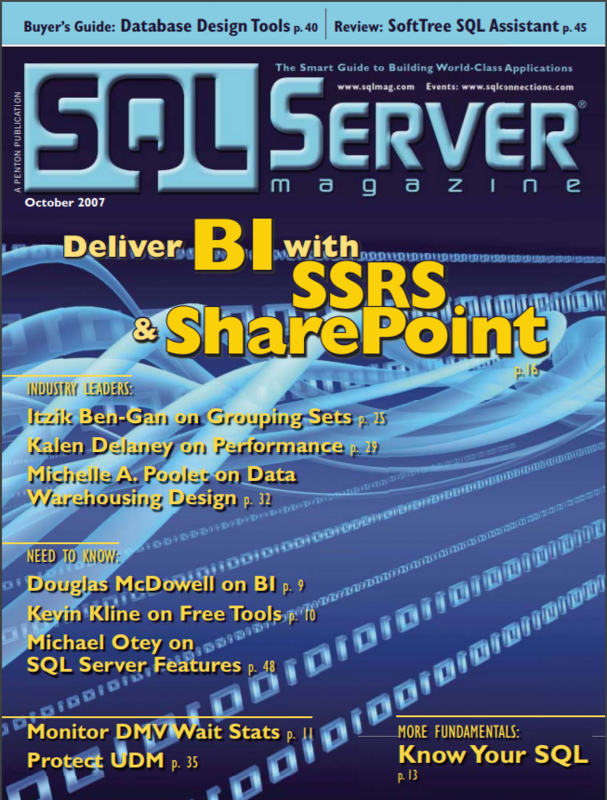 This client has seven different environments with more than 100 instances and more than 2000 databases. A non-parallel execution (single session) took more than 2 hours. This is not a big problem when we run it out of hours and we don’t want/need to be looking or waiting for it to finish. I set up it to run at 6 in the morning and when I arrive at the office I can refresh the Power BI dashboard a get a recent state of art. What if we want to lower down that 2 hours execution? Or the Hiram Fleitas’ (b | t) 4,6 hours? First let me remember that this doesn’t come for free! I mean, if you set multiple checks in parallel (different sessions), you will consume more resources (CPU, memory, etc) on the machine where you are running them. Test the process and find a reasonable limit for it, otherwise this can become slower that the serial execution. This brought some new needs. By default, dbachecks works with the values previously saved (for that we use Set-DbcConfig or the Import-DbcCheck). This means when we start a new session and the last session have changed any configuration, that configuration is the one that will be used in the new session. -Temporary parameter for the rescue! On my last dbachecks blog post – dbachecks – Setting temporary configuration values I have explained how this works so if you haven’t read it yet, take a look before continuing. Ok, now that you know you can use the -Temporary to run the tests without interfering with the persisted, you may already notice what we will do next..
Disclaimer: First, let me say that this is just one option you can come up with a different one. Please drop a comment so I, and others, can become aware of different approaches. If you don’t have a configuration file for the environment yet, start by configuring all the settings and use Export-DbcConfig to save them. You need to do a split of your instances/hosts in one or more groups that can share the exact same configurations. 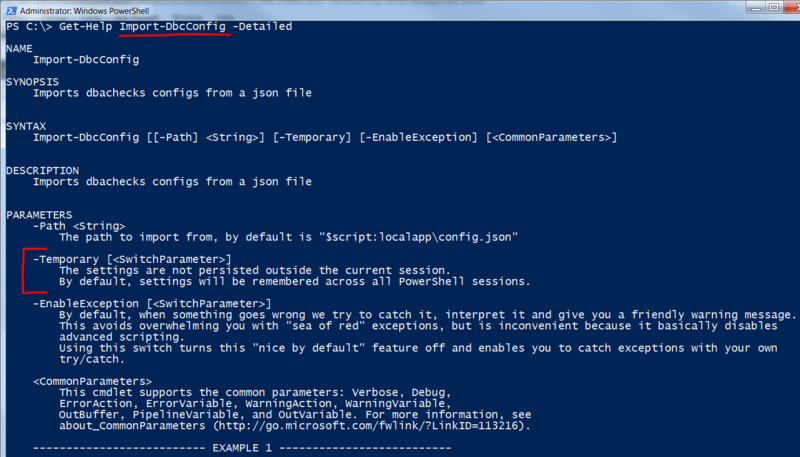 Start a new powershell session, set (using Set-DbcConfig) or import (using Import-DbcConfig) your configurations (set up on number 1) but don’t forget to use the -Temporary parameter. Repeat steps 1, 2 and 3 as many times as you want – I encourage you to start with just 2 sessions and monitoring your computer resources. Then if you still have room, add one more. Grab a coffee, a beer or any other drink of your choice and wait until it finishes. Again, take a look on your resources and then you can test with one more session. Do it until you find the sweet number of parallel sessions. $sqlInstances = "prod1", "prod2", "prod3"
$sqlInstances = "dev1", "dev2", "dev3"
On my case I was able to drop from 2 hours to about 1 hour with 3 parallel sessions. Adding a 4th session made the whole process slower. We saw that we may have problems if we try to run more than one dbachecks session when using different configured values. Using -Temporary parameter when setting the values come in handy for this scenario. This way we can run two or more sessions in parallel and each one on different environments without messing each other and hopefully, cut off our execution times. Hope this helps! I would love to hear if you were able to drop down your execution times and what they are before and after. dbachecks has seen the light about two months ago. As I’m writing this blog post, the module counts with more than 2600 downloads just from the PowerShell gallery. The module has about 110 configurable checks that make our live easier! Today I will write about an option that I think users still do not realize that exists. dbachecks works with the values previously saved (for that we use Set-DbcConfig). This means that when we start a new session and the last session has changed any configuration, that configuration is now, by default, the one that will be used in the new session. What about if we want to run a check with a different value just once?! Today I want to share a different option! Let’s assume that you have your dbachecks configs set up for the Production environment. What do you need to do if you want to change just one check to test it in the Test environment? One option is use the export/import method that Rob (b | t) wrote about on his dbachecks – Configuration Deep Dive blog post. What if, we could change this property just for the current session without messing with possible new sessions? When we start a new session and we import dbachecks (in matter of fact when the PSFramework is imported – required module for dbachecks to work) we get the values from the registry. This means that we will read whatever is there at that moment. This parameter is available on Set-DbcConfig command. As said before, this command allows us to set a configuration which is, by default, persisted. But, if we use the -Temporary parameter we are saying that the configured value is only available for the current session the value will not be persisted for future executions, hence, will not mess with other new sessions. This video shows that when we don’t use the -Temporary parameter and we start a new session we will read the last value set up. When we run the command with the -Temporary parameter (when setting the value to 5) after start a new session the value read will still be 3. This way we don’t need to export/import the configurations. Perhaps this will save you time when doing some ad-hoc tests and not stay in doubt if you forgot to replace the older values after a different environment test with different configurations. “But I already have and use the export/import method! Changing this can be more work…”. you can see the -Temporary is also available in this command. I have an idea that I will share on my next post about dbachecks! -Temporary parameter exists on both Set-DbcConfig and Import-DbcConfig commands. By using it, you are just changing the values on the current session and won’t overwrite the persisted values. This can become in handy in some cases. Drop a message in the comments section either if you already use it and in which way or if you were not aware that it exists and will give it a spin! 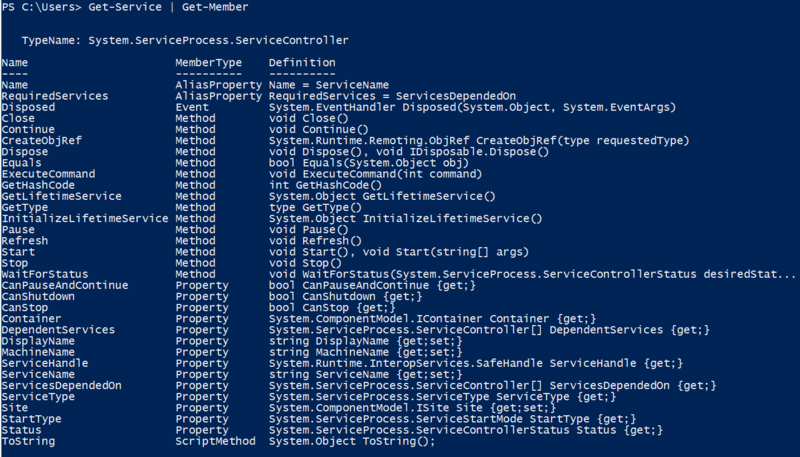 Every now and again I see some people complaining about not getting the properties they want when using a PowerShell command. As you can see, the “Startup Type” property that we can find on the user interface does not appear here! In this case, this property does not belong to the default display properties set but the properties are still there! So how can we get the list of available properties? First, let me say that this person knows that Select-Object can be used to select the properties we want, so he tried to guess the property name using a trial/error approach. But all of them were just empty. When I, and probably most of the people, started learning PowerShell, we learn that Get-Member (and also Get-Help) are our two best friends. Get-Help needs no introduction, it will retrieve the help for a command! You should always start by reading the help of the command, you will find the overall description, parameters explained and even examples on how to execute the command. This means it can give you a variety of information on the objects you are working with, including, for our use case, the available properties. Let’s see if we can find the property we want. We can do this by piping the command we are working with to Get-Member. And, in this case we narrow it down to just one result – StartType. Let’s try to include on our original command. Boom! We now have the property we are looking for! I mentioned the Select-Object * on the title of this post, that is because we can use it to get ALL existing properties that our object owns and their values. As you can see we can find the StartType there. Why hide some properties by default? This way it will become cleaner and faster. Faster: We can have 20 properties but if only 5 are the most useful, by setting this five the default the command will be faster than if we retrieve the whole 20 properties. Cleaner: We don’t fill the screen with information that 90% of the time is not useful for us. Can we know beforehand what are the default properties of a command? Yes, we can! And it is very easy actually. If you use some properties a lot and they are not part of the defaults, or you just would like to change the default properties that are retrieved, you can use the Update-TypeData or Update-FormatData cmdlets to make it work that way. Quick note: For commands that have format XML you will need to use the Update-FormatData. Thanks to Friedrich Weinmann (b | t), (dbatools architect) that helped me to realize this! This post was intended to show / remember how you can know what are the default properties that will be shown when you run a command. Also, I showed two ways to get the full list of properties Get-Member (just the property name) and “Select-Object *” which also retrieve the values.